Beautifully shaped to nip in the waist and tummy, Estella is the perfect partner for your wedding day. Carefully colour matched to existing bridal lingerie brands & light enough to wear under most dresses. 28cms in length, Estella is made from top quality corsetry coutil & Japanese duchess satin, trimmed with ivory double satin bows. Superb German steel boning and busk feature internally with a full cotton waist tape for extra support. Two piece silver eyelets and double satin ivory lacing finish off this lovely corset. 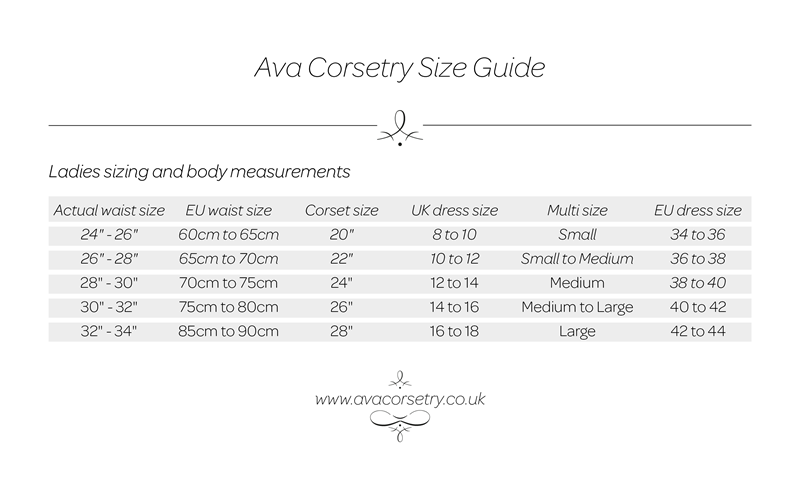 Your bridal lingerie as the perfect garment to smooth & shape under your wedding dress. Or save it for your wedding night and give your partner a real treat!